25 Races, 17 Wins, 7 Places. 11 Group Stake Wins: 6 Group 1, and 5 Group 2. 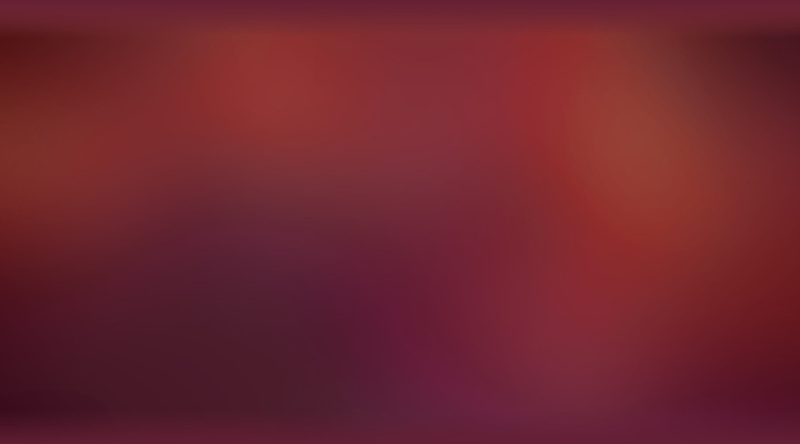 7 Group Stakes Places: 6 Group 1 and 1 Group 2. 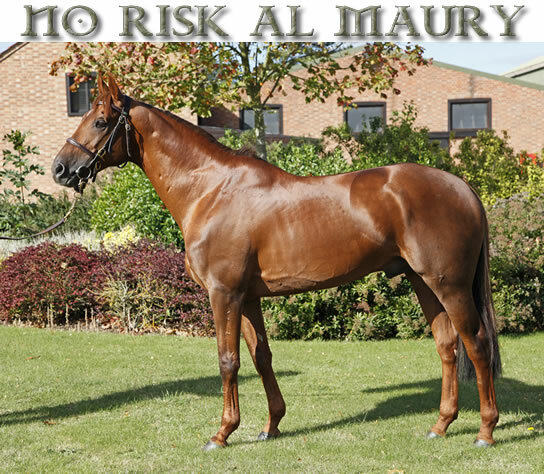 2011 Leading Arabian Racehorse in Europe & Middle East with 128 Rating. National Champion of the UAE. Won in UK, France, UAE, and Turkey on all surfaces. 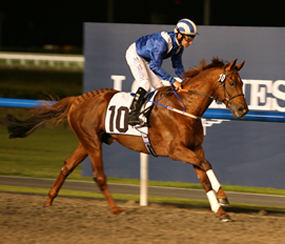 The Shadwell-owned champion, NO RISK AL MAURY, retired from racing after his Group I win in the International Malazgirt Trophy stake in Istanbul this past September. In the 6 years of his race career, he started 25 times, amassing 17 wins, 4 seconds, and 3 thirds, including 6 Group I wins, 6 Group I places, 5 Group II wins and 1 Group II places, in 4 countries, and on all 3 surfaces types : turf, dirt and all weather. Easy to see why he was recently ranked by the Pattern Race and Handicapper Committee as the Number #1 horse with a rating of 128 in the first ever International Purebred Arabian Rankings.